Every summer, groups of Warwick in India volunteers train teachers in the Laksh Foundation so that they can help young learners throughout the year. Five years ago, Mustafa (pictured above) saw the poor level of local primary schools in his area and the way that children were becoming disengaged. He wanted to help tackle low literacy rates and inspire his six siblings to do better. "“The continued involvement of Warwick volunteers helps us to improve. They have made me feel far more comfortable in my teaching, my confidence has improved and their patient help has made me feel I have the ability to be a good teacher." I have another job as a milkman, and sometimes it’s a real struggle to also teach and find time for lesson planning, especially when there are pupils of all ages and abilities, but I believe in the centre. We’ve seen undeniable progress and I’m confident that we’re taking steps in the right direction. Parveen (pictured above, centre) teaches in the Laksh tuition centre in the small town of Dhauj. She grew up in Dhauj with her parents, 3 brothers and 2 sisters. "“For me, the most challenging aspect of teaching is when I see students struggle to understand the content, and as a result they get distracted, and as I haven’t received any formal teacher training myself, it can be difficult. However, I try to share good practise with my colleagues at Laksh, and observe their lessons and methods when I can to try and combat this. However, teaching the children of the community I grew up in and call home is so rewarding and fulfilling. The role that Warwick has played in my training and development is crutial and has helped my practise in many ways. I replicate the methods that the volunteers show us, such as using real life examples and lots of visual aids to help improve and deepen the understanding of my classes, as well as make learning fun. In the future I would like to help create long term strategies for the Dhauj centre to ensure we cater for different types of learners, ensuring effective and enjoyable learning for all and an inclusive environment in our centre. 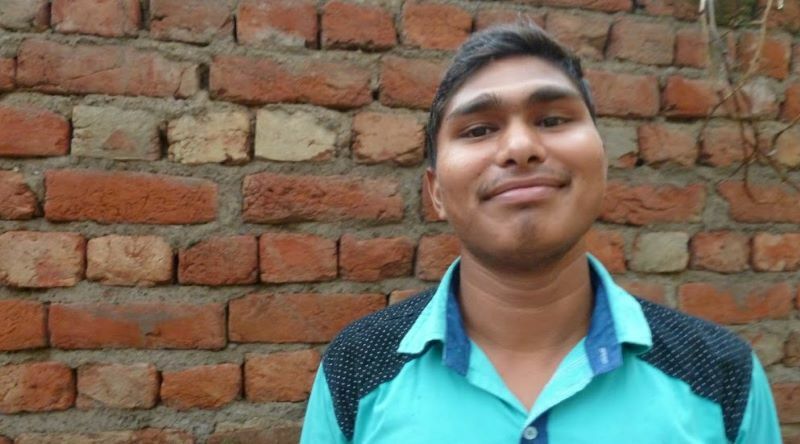 Sandeep (pictured above) joined Laksh in 2014, initially working with children in the 3rd and 4th standard in Silakhari village, and now s teaching 6th – 9th standard in Manger village as well as taking responsibility for the centre as a whole. 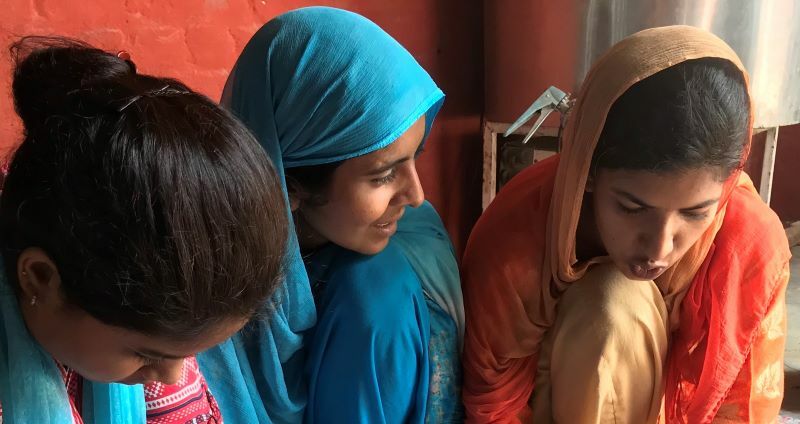 "I feel like I've grown much more confident by working in the Laksh Foundation, and although it's been very hard, I've kept going because I want to keep progressing as a teacher. I like teaching because I like to help people - and I'm particularly good at teaching maths. I learned a great deal from Madan and the Warwick volunteers who helped me with my English and maths skills. They taught me new valuable methods and showed me how to put systems in place which help in the classroom. They helped me with my written and spoken English and gave me a real confidence in my abilities. The Laksh Foundation has changed my life, my ambitions and my plans. I wanted to join the Indian Army when I was younger, but now I know my future lies in teaching and making a difference. I'm now studying to become a fully qualified teacher at a Maharshi Daynand University, Rohtak Haryana and will qualify in 2017." Jamalu-din (pictured above) is 18 years old from Silakhari village, Haryana. He works in Manger village centre. which overall hosts 50 pupils on a daily basis. His class has 25-30 children, from the 1st – 5th standard. How did you get involved with the Laksh Foundation? "I first got involved with Laksh as a student; I wanted to learn and enhance my education, and now I work as a teacher because I want to develop that as a career. I enjoy working with the Warwick volunteers; they make difficult topics more accessible, especially mathematics. The games and creative methods they use are brilliant, like the Napiers Bones formula for decimal multiplication - I now use it myself and in the classroom. Every day there are real challenges teaching here, from disruptive behaviour to poor time management, and tackling them is difficult, but the volunteers really help give us confidence and practical skills to help. I want to keep teaching but eventually work for an NGO and give back to India. I want to help more people achieve an education and a good start in life. That means going to University, and I'm preparing for my entrance exam for the Bachelor Preparatory Programme which will be my first step into higher education. Working with the Laksh and the volunteers hasn't just helped me professionally, it's given me life skills and experience which I hope will set me aside from others and make me a good candidate for further study opportunities and work." Note: these stories have been written from the first-person point of view after conversations with teachers. From everyone here at Warwick, thank you for your support which helps us transform the lives of teachers and learners in these communities. Please donate to Warwick in India again today.